I have nearly finished my project report/thesis, and am now left with a pile of writing that ‘didn’t make it in’. Some of this, I feel, might be quite relevant for other research students, researchers and my project participants, so I am posting it here on the blog. One example is the learning process I underwent while designing, organising and facilitating ‘Mutable Matter’. For those readers who don’t know what ‘Mutable Matter’ is – it is an interdisciplinary ESRC– and Open University sponsored project using ‘sensory methods’ to engage people with nanotechnology, focusing on the bridging between ‘public’ and ‘scientific’ spaces. As for myself, I am a research student in Geography at the Open University with a background in art & design and enough geekiness to scare older schoolkids with nuclear and quantum physics in my capacity as volunteer Science Ambassador. The idea for the workshops developed while researching different kinds of nanoscale phenomena (the computer game ‘Duckboy in Nanoland’, STM images, the NanoArt competition and Richard Jones’ book ‘Soft Machines’ offered some inspiring examples…). Around the same time, I saw the Hélio Oiticica exhibition at the Tate Modern which displayed some of his experiments with multi-sensory environments such as the ‘Box Bolides’. Thus, my first idea was to create similar boxes that would house different kinds of symbolic ‘experiments’ which engaged participants with different conditions at the nanoscale. Initial brainstorming resulted in ‘experiments’ involving treacle and magnets or a Perspex box of polystyrene balls that were moved about by an in-built fan. After drawing up some of the designs, I quickly discarded them, because I thought they were not only impractical, but they were also too close to ‘top down’ science engagement and did not allow many things to be done with them. The main idea was to give the participants more creative control, and to make the hands-on engagement conducive to dialogue. The most ‘free’ materials I could think of were clay and plasticine. As clay is very messy, difficult to get hold of in small quantities and high-maintenance (you have to prevent it from drying out all the time), I got a packet of plasticine at a local shop for some hands-on brainstorming. Initially, I found that plasticine did not lend itself very well to the symbolic description of nanoscale phenomena. However, while playfully reconstructing some ‘Nano Art’ images in 3D, I wondered whether I could ask participants to do a similar thing: to do ‘nano art’ based on STM images and verbal descriptions. On the other hand, this is not what I wanted to do. To me, getting participants ‘in touch’ with nanoscale forces was an essential part of the project. After hours of home experimentation, I decided to combine my two ideas – the experiments with nanoscale phenomena and the ‘free play’. I ran a few pilot sessions with willing and able co-student ‘victims’, to also experiment with the dialogue side of the workshops. An opportunity to learn from somebody else’s experiment arrived in the form of a talk by Justin Dillon from the Materials Library, an interdisciplinary project to explore ‘material-objects that foreground the materiality of stuff’. The talk ‘what can the matter be?’ evaluated a hands-on event – coincidentally at the Tate Modern -and discussed the different strategies the project used to engage visitors with ‘matter’. These included talking strategies (‘otherwise people just talk to their friends’) and examples of how the team tried to engage visitors with materials relating to the artworks. The latter were designed by two artists and one material scientist and included helium balloons with weights, ‘pick n mix’ sweets, silly putty and a box of shear thickening fluid whose properties could be explored with a set of in-built rubber gloves. An experimental i-pod tour was also designed to accompany the project. The problems the team faced was that people did not always make the link between the activities and the artworks (‘some people like ‘free associations’, other people don’t’) and sometimes ignored the artworks in favour of the activities. From the feedback that the Materials Library received, people seemed to enjoy talking and doing things in a space where one normally only gazes. After another, more public, pilot session at the Guerrilla Science camp at the Secret Garden Party Festival 2008 (with the added morale boost from Grace Jones’ music), I ended up with the final workshop structure which I have described here. The next hurdle was recruitment. After much debate about how to recruit participants for this project and who to recruit, I decided on inviting Open University EDIS (Environment, Development and International Studies) undergraduates. 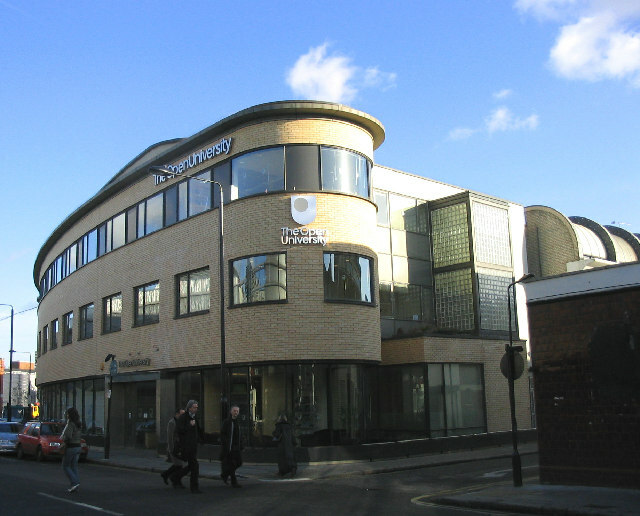 Open University (OU) undergraduates tend to come from a diversity of age ranges and backgrounds and, also, I would also be able to use the OU Regional Centres as venues for the workshop. Recruiting participants was much harder that I had thought. Because I wanted to ‘use’ OU students, I needed to have the project approved not just by the ethics committee (the body that monitors the ‘use’ of human participants), but also by the Student Research Project Panel (SRPP). The approval of the ethics committee was dependent on the result of the SRPP evaluation. Because the SRPP almost exclusively deals with questionnaire-based research and intends to protect OU students from being over-researched, suggesting to do a series of nanotechnology workshops involving plasticine-modelling caused an impressive odyssey of misunderstandings and resulted in the initial rejection of my project on the basis that it had ‘no educational value’. A few months later, after many redrafts, the requirement to include questionnaires and the involvement of a handful of senior academics, I was finally given the go-ahead (any research students or researchers in similar positions, please feel free to contact me about my experiences). Approval from the ethics-committee followed soon after which a few more recommendations & conditions, but those were sorted out comparatively quickly (including an A4 page defending analogue recording methods…). Having by now arrived at the summer holidays, I struggled to recruit the participants I had fought for. I tried recruiting through tutors, the blog and through project flyers at the Regional Centres (I considered all regions as long as I could get a large enough participant group together). I also tried advertising for participant in the OU student Magazine ‘Sesame’, but did not manage to obtain permission. I also wondered whether OU undergraduates were perhaps too busy to participate in another project for which they had to invest time. Just as I was thinking about altering my recruitment strategy or group, I received an e-mail from the OU Alumni Newsletter editor who had come across my blog announcement and wanted to know whether I would like to post my call for participants in the next monthly Alumni newsletter. This newsletter goes out to most OU students who have completed an OU course… a figure at least in the tens of thousands. As OU alumni would have a similar profile to that of current OU students and are often also current students, I agreed. As soon as the advert was sent around (September 2008), I received not thousands (thankfully! ), but about twenty enquiries, as well as the odd late e-mail over the next few months through snow-balling, so that I started off with around 25 interested people. I managed to group most of these volunteers into OU regions (I am sorry that I did not manage to include everyone! ), ending up with nineteen participants. Workshops were booked for Nottingham, Cardiff, Leeds, Milton Keynes, Southampton and London (between September 2008 and February 2009). It was surprisingly easy booking the venues. The only difficulties were short notice cancellations by participants (Cardiff was completely cancelled) and the worry about the recommendation that I should not reimburse participants. From the pilot experiences, I had concluded that the project sessions worked best with small groups of people (about 3-4). The group size seemed to positively contribute to the dynamics of the conversation and seemed to lower the threshold for working with the ‘messy’ materials. Because of the anxieties about my ‘playful’ methods that various observers had shared with me, I paid special attention to making the room look like a ‘serious research project’ by e.g. placing the consent forms and questionnaires – that I had previously loathed putting together – on each participant’s place. I became slightly paranoid about my appearance (did I look enough like a ‘serious researcher’? did I want to look like one? ), my manner of speaking, my accent. Advice along the lines of ‘act normal’ did not really help. Unsurprisingly, the way I experienced the facilitation process in the end corresponded in many ways to the reports I had found in facilitation handbooks (I thought it couldn’t hurt to check some of these out). One book in particular (John Heron’s The Complete Facilitator’s Handbook) distinguished between three modes of facilitation: hierarchical, co-operative and autonomous, which I thought delivered a good mental image. I knew that I needed to be somewhat ‘hierarchical’ to lead participants through the project and persuade participants to explore the topic with the materials. Also, I had to direct attention away from distractive factors such as my accent which tends to lead to not particularly relevant conversations about my country of origin. Autonomy was also important, in the sense that I wanted participants take charge of the conversation and the degree of engagement with the modelling. And, while hoping that my participants would mostly talk amongst themselves, I almost needed to be ‘cooperative’, too, almost like a participant (particularly, when participants cancelled and I ended up in a 1-2-1 situation). In this particular mode, I noticed how some examples I used as explanations or conversation stimulants gave direction to the conversation. Inter-participant dynamics also needed to be considered. Did I want to intervene when a conversation went too off-topic or did I want to study how a particular conversation developed? How should I deal with refusals of using the materials? Another difficult part was consistency. While I had fixed project phases, I tended to adjust to my participants and make little changes to how I explained things. I also felt that my ‘form’ impacted on the consistency, although this might be a misconception. On some days, I felt more nervous (shifting confidence about the project), tired or stressed (e.g. from delayed train journeys). The hardest part was to explain enough about the project, but not give too much away. For instance, a few of the participants wanted to ‘help’ get the right kind of results, which was a very kind thought, but defeated the object. I was asked questions such as ‘what are you exactly trying to find out?’ Explaining this would have potentially made participants too self-conscious of their actions, especially when it came to the modelling. In the end I had to admit that I could not do everything perfectly and that the project was a learning process. When I now listen back to some of the recordings, I frequently find points I could have done or organised better, but despite these ‘blunders’ I am happy that the workshops went as they went, because they highlighted so many different aspects of the kind of engagement I was trying to facilitate. Thank you again to all my participants and everybody who helped get this project off the ground! This entry was posted in Project Updates and tagged art practice based methods, creative research methods, materials library, mutable matter, nanotechnology engagement, PhD research, public engagement facilitation, research approval, research ethics, sensory methods, university bureaucracy by Angela. Bookmark the permalink.